I’m not burying the lead on this one. Heck, I put it right there in the title. 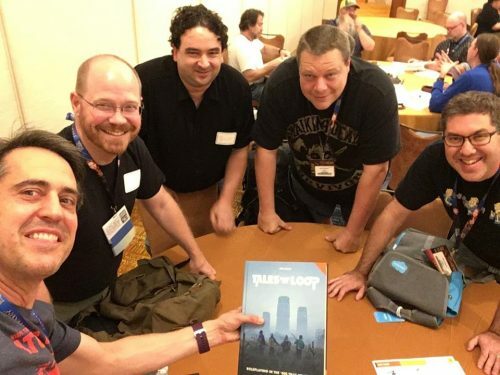 Tales from the Loop was the best game experience I had at Gen Con. To the point that I talked about the game session to my wife like I was telling her about some awesome movie I’d seen (ask her about my retelling of How to Train Your Dragon – the rated R version – now full of lots of swearing!). I told my sister, a nut for everything 80s, because the game does a great job at delivering on a premise. 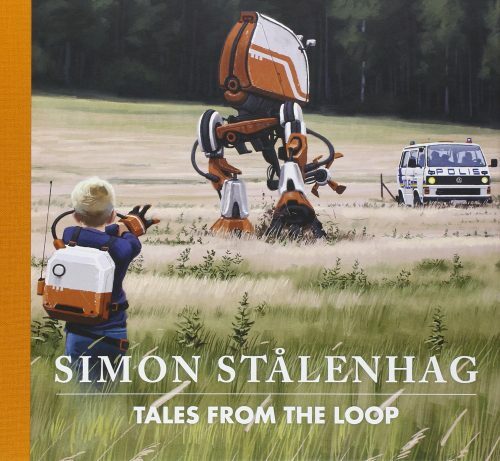 So what is Tales from the Loop – Roleplaying in the 80s that never was? 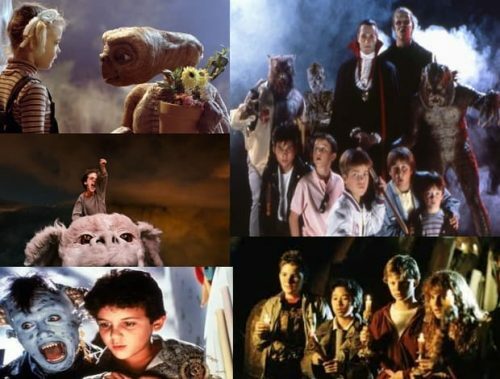 Think about your favorite kid led movies from the 1980s. Do you have a list in your head? These are the movies just before you get to the John Hughes films in your mid-teens. These are the movies where the kids are the heroes. Where they aren’t treated as dummies just because they aren’t the adults. If anything, the adults are normally the clueless ones who have no idea that a bigger world exists around the next corner, but their kids know it all too well. This is the feeling Tales from the Loop taps into the nostalgia of that time when you both couldn’t wait to grow up, but also began to understand that it was pretty cool to be a kid sometimes. When you created adventures with your friends, when you bike was your gateway to the larger world, and when the woods were a sanctuary from whatever bothered you. While it is a Swedish game, one of the stretch goals set up an American counterpart Loop in Boulder City, Colorado. Again, the thing is you could set this game in the town you grew up in. Those memories of growing up on the coast or in the mountains or playing in the creek or riding your bike through the subdivisions are what the game evokes within the players. It becomes easy to play because you’re tapping into a piece of you from Before you got old(er) and had adult responsibilities. Then promptly forgot about it again until the Friday night of GenCon. Egg was unable to attend the session as he was Cubical 7’s guest at the Ennie Awards. So Lee and I made our way to the room where the game was to take place. After a few minutes our Game Master, Bill Carter, appeared, having hustled from another game. For a while, it was just the three of us. Lucky for us that Alan Precourt and David Cochran decided to swing by and see how things were going. Bill “convinced” them to join in the game, realizing that 4 would probably be better than 2. And off we went into character creation. 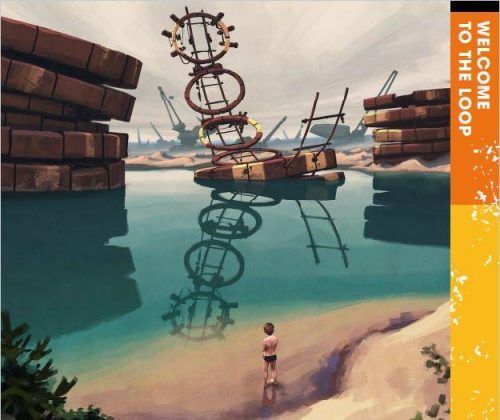 Many games we played during the weekend were pregenerated. They had their own stats and histories and connections to the other pregenerated characters. So it can be a bit of a crap-shoot as you’re never 100% on how they are going to work, especially if you’ve never played the system. However, Bill had us create characters for this game, and I’m especially glad he did. You pick out an archetype: The Loner, The Jock, The Computer Nerd, etc. in order to have a little bit of framework for your character. But the thing is, you’re a kid, you’re not going to be great at 100 different things like some games. You have 4 main attributes: Body, Tech, Heart, and Mind. You’ll divide up your character points here among those. Oh, how many character points do you get? How old is your character? Pick a starting age between 10 and 15. Got it? That’s how many points you have to divide. Ah, but there is a catch. There is one other main stat: Luck. Much like other games, using a Luck point lets you reroll a failed roll. So how many Luck points do you get? 15 minus your age. So the younger you are, the luckier you are, but the fewer Build points you’ll have. The thing that any roleplayer will tell you is that your stats are only part of the story for your character. The story… who you are… what are you afraid of… what do you aspire to be? These are the keys to not only your character but will potentially inform your relationships with the other kids. And that may be the biggest piece of this game. Your kids are going to be friends and it’s really up to the players to figure out why. In our particular game, I chose the Rocker. A bit of a clumsy, still growing into himself, an 11-year-old kid whose brother had passed away maybe a year or so prior. His parents rode him – trying to have him live up to be his brother, but in his grief, he found his brother’s old guitar and something clicked. So, I had a background, but how to tie it into the other characters. Why are you friends? Well… what if the Computer Nerd was helping me actually record something? What if the Skater-Jock was just big enough to protect the Computer Nerd from the school bully? And what if the Hick and the Rocker had found friendship in the older brother’s death? Sounds like we’ve got some friendships going. And just like that, we were ready to play. I don’t want to give away the details in case Bill wants to run it again (or maybe publish it at some point). Suffice to say, our four kids immediately noticed something was wrong while at school. You might say that Strange(r) Things were afoot… and it was up to us to figure out why the world seemed to blink or why the robots were acting strange or why- seriously, I probably should stop. After the game, Lee and I met back up with Egg and proceeded to talk his ear off about the session, about the people we’d played with, and just the joy of the session. I’m sure he was tired of hearing about it by the time we went to bed that night. The next morning we made a b-line to the Modiphius booth where I snagged a hard copy of the game (when we swung back by later that afternoon, they were sold out). The book comes with all the rules needed to play as well as 4 adventures to get everyone started. So far I haven’t had a chance to bust the game out and play, but I did look to see if they were running any adventures at Dragon Con a couple of weeks later (if they were, I didn’t see any). Regardless, I’m looking forward to jumping into that world! 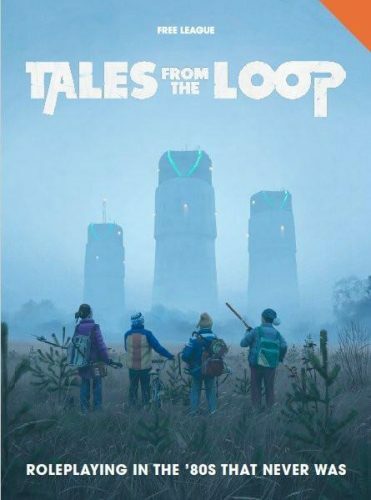 For more information about Tales from the Loop, check out the Modiphius Entertainment site here. Tagged 80s movies, game review, Gen Con 50, Tales from the Loop.